The information presented on this page was originally released on March 21, 2014. It may not be outdated, but please search our site for more current information. If you plan to quote or reference this information in a publication, please check with the Extension specialist or author before proceeding. 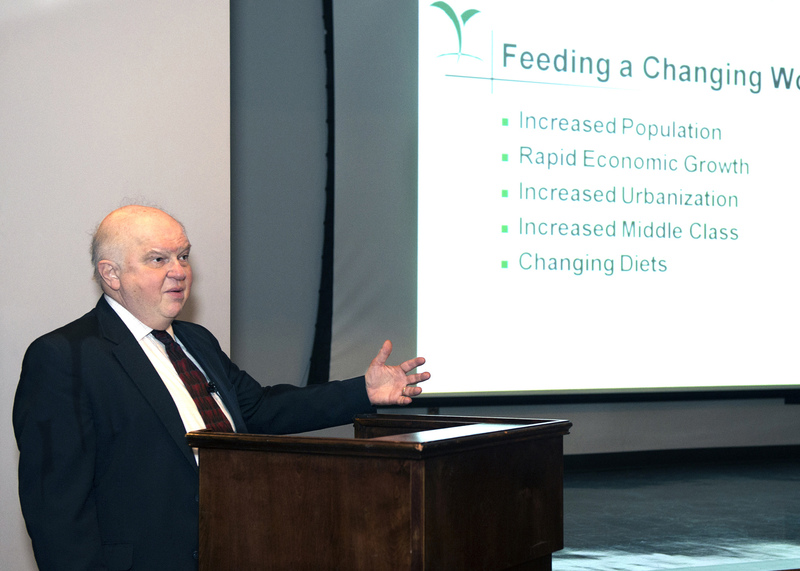 MISSISSIPPI STATE -- How to feed the world’s growing population is a continuing challenge for agricultural researchers and producers, and one expert who spoke Thursday at Mississippi State University said pesticides are essential for meeting that challenge. Leonard Gianessi, a consultant with the CropLife Foundation in Washington, D.C., was on campus March 20 and 21 for presentations and tours. He spoke on the important role of pesticides in food production, followed by MSU experts who spoke on irrigation, herbicide use and resistance, and issues related to pollinators and pesticides. The term “pesticides” refers to chemical compounds used to control pests -- weeds, insects or diseases -- in food production systems. Gianessi discussed case studies from around the world that illustrated challenges in food production over the past 50 years. He presented data to show the number of man-hours needed to remove weeds by hand, as well as the losses in yield when weed problems are not addressed. His examples included China, India, Bangladesh, several African nations, Norway and the United States. The case studies demonstrated how the use of pesticides greatly aids food production and the fight against hunger. Applying pesticides dramatically increases yields in rice, wheat, soybeans, maize, peas and other crops. “From the standpoint of food security, every country has to ask themselves this question, ‘How important is the (pesticide) technology for our country?’” Gianessi said. Cultivation to remove weeds often has been used instead of herbicides, but wet fields can keep farm equipment out. 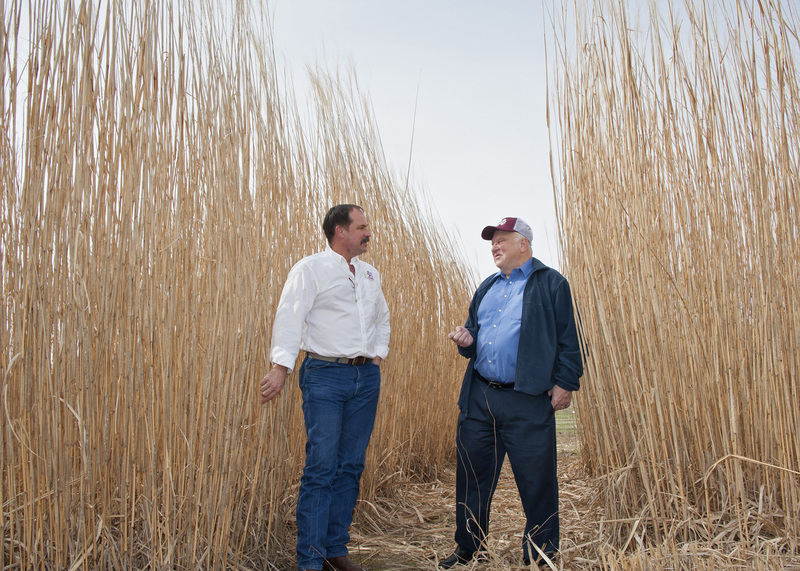 Gianessi presented data from a Wisconsin study that showed 34 percent of the time, wet fields prevented cultivation from controlling weeds, and weed problems reduced the crop’s yield by 74 percent. Done by hand, the task of weeding is backbreaking and slow. It would take 70 million U.S. workers to weed American crops without herbicides. Although much of this work was done by hand in the past, no one wants to do it anymore, he said. In China, it would take 1 billion person-days to pull the weeds by hand to prevent rice yield losses. In India, it would take 4 billion person-days to pull the weeds from crops such as peas and beans. “Weeds are getting the moisture, space and nutrients. That’s why the yields are low,” he said. “They are a major cause of world hunger. If you care about world hunger -- and a lot of people in our country care about world hunger -- we’ve got to help people get more food. Do something about weeds. “It’s these plant pests that are a major cause of world hunger. Get the pesticides out there where they will do the most good in helping feed the world,” he said. MSU President Mark Keenum is a participant in international efforts to address world food security. 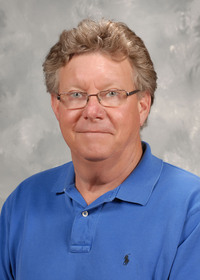 He has made global food security a university research priority during his tenure at MSU and believes research universities will play a leading role in solving food security problems. “As we search for ways to more effectively produce sufficient food for a growing global population, it is imperative that top agricultural research universities like Mississippi State University are vigilant in exploring all avenues available to achieve that necessary outcome,” Keenum said. “Balancing preemptive food safety concerns with the absolute necessity of greater agricultural productivity is a challenge that our researchers must meet and overcome. “There are few goals more important than food security for a world in which the number of people at the world’s dinner table is expanding exponentially,” he said. 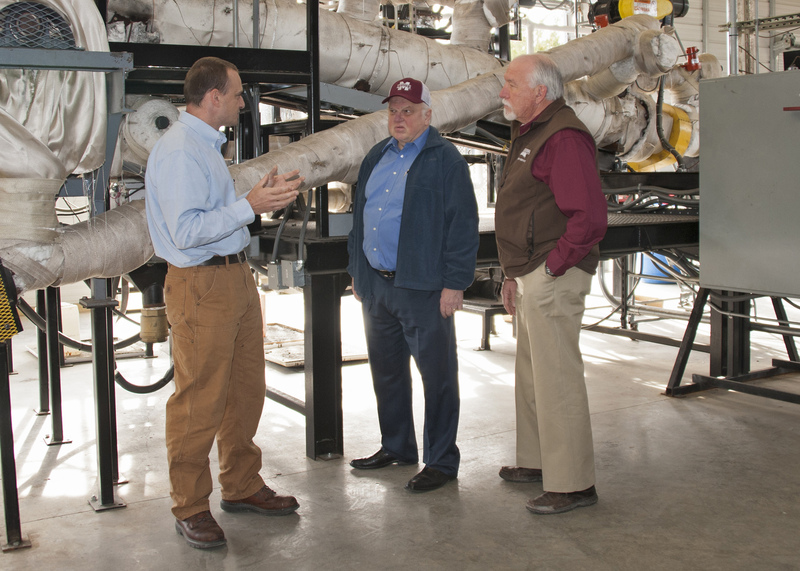 Greg Bohach is vice president of the MSU Division of Agriculture, Forestry and Veterinary Medicine, which joined the MSU Office of Research and Economic Development in hosting Gianessi’s visit.